The Court in Vienna under Emperor Francis Joseph was not only Europe's most illustrious and refined, it was also a huge economic enterprise, serving as both home and workplace for just under 2,000 people. 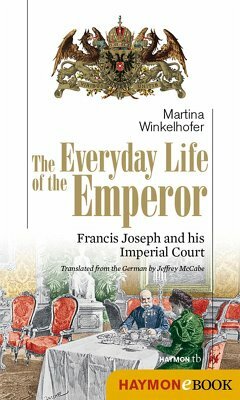 The author reveals multitudinous facets of Emperor Francis Joseph's court and displays them in highly entertaining fashion, the court truly comes alive again. She takes the reader through a typical day in the life of the emperor, from his early morning toilette to the evening ceremonies; she tells tales of glittering ceremonies, receptions and audiences; she provides insights into the private and the family life of the emperor. Martina Winkelhofer, historian and art historian, born in Vienna. University reader, lecturer at the Universities of Vienna and Prague, specialist in subjects of court and politics in the 19th century, aristocracy and social history. Author of 'Noblesse Oblige, Aristocratic Ladies of the Austrian Monarchy' (2009).